It;s getting closer to market and Christmas. I always put off till the last minute to do my projects for myself. Now that I'm involved in Girl Scouts with my granddaughter Nykole I hope maybe I can get these 7 year olds into learning how to sew some simple little things. 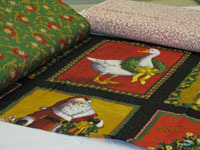 We are having a sale on all of our Christmas fabric and I and going to start some lap quilts and table runners for my own house out of the Christmas fabric. I love having lap quilts around and sitting around the fieplace to keep warm. 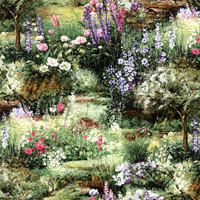 Here's one of the groups I'm thinking about using for a lap quilt. I't called HOLLY JOLLY by INGRID SLYDER from MODA.